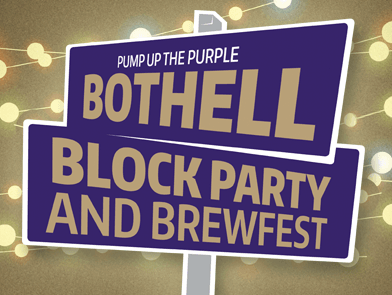 Summer is officially being kicked off with the Bothell Block Party & Brewfest! Get your tickets soon for this rockin’ FUN 21+ outdoor community event in downtown Bothell! Sample tasty local beer/cider/wine, eat at delicious locally-owned food trucks, and experience some of the hottest and up-and-coming Seattle-area bands play while you dance, drink and socialize. Tickets are $25, comes with 8 tasting tickets and an exclusive glass! This event is on Saturday, May 20th from 3 PM to 8 PM out our back door. Buy tickets here!